Australia Open 2019: Former world number one Andy Murray shocked the tennis world, this week, with a sudden announcement of his retirement but twenty times Grand Slam champion Roger Federer stated that he could totally understand the decision. Australia Open 2019: Former world number one Andy Murray shocked the tennis world, this week, with a sudden announcement of his retirement but twenty times Grand Slam champion Roger Federer stated that he could totally understand the decision. 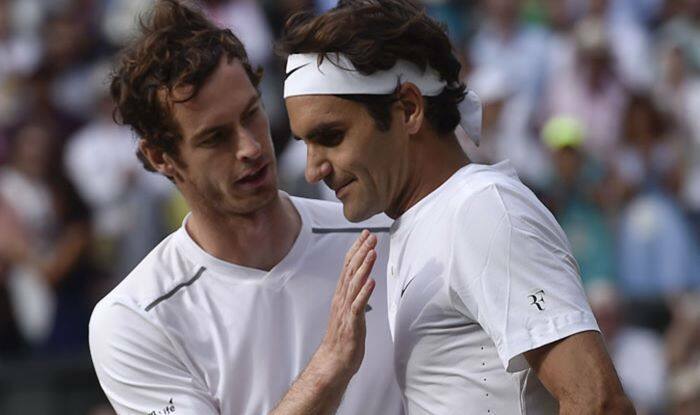 While hoping that Murray would continue playing after the 2019 Australian Open, Federer said that the Briton could be “incredibly proud of everything he has achieved”. “I guess everybody can understand where he comes from. At some point, when you feel like you’re never going to get back to 100 per cent, you’ve had the success that Andy has had, you can only understand the decision,” ATP quoted Federer, as saying. “Of course, I hope that he can play a good Australian Open and he can keep playing beyond that, really finish the way he wants to at Wimbledon. That’s what I hope for him. It’s a tough one, but one down the road he can look back on and be incredibly proud of everything he has achieved,” he added. Federer admitted that he was “disappointed” and “shocked” at the decision but added that everybody would leave at some or the other point. “I was disappointed and sad, a little bit shocked, to know now that we’re going to lose him at some point. But we’re going to lose everybody at some point. It’s just now that it’s definite,” he said. “I’m very happy with the preparation thus far. Super-excited that it’s just a day away now from my next match. This is going to be exciting,” Federer said. “I think the focus really is on those early rounds, especially tomorrow. It has to be. I know what Denis did to Novak. I watched basically the entire game a couple years ago when he beat Novak here. I’ve had some tough ones against him in the past. He can play well on fast courts, and that’s what it’s going to be a little bit here as well,” he added.